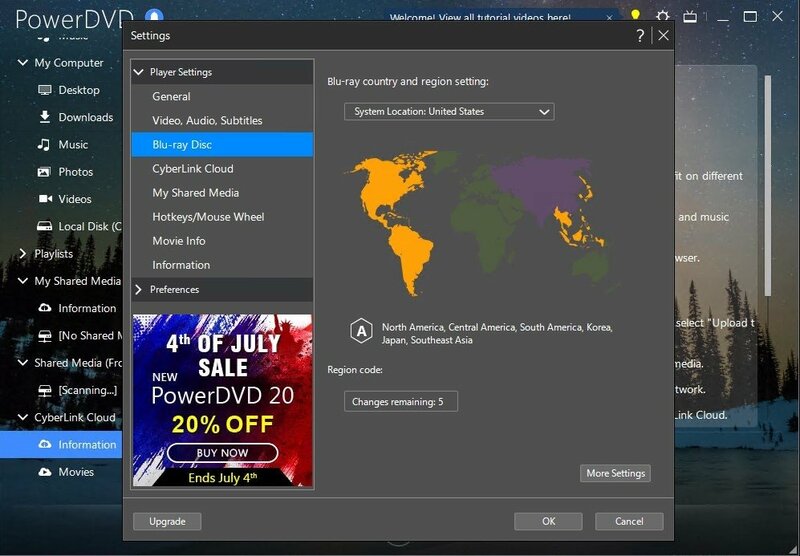 Despite being able to download online movie and series streaming services of the likes of Netflix and HBO, optical discs such as DVDs or Blu-rays still have their fans, as well as downloading from the web in formats like AVI or MP4. There are quite a few multimedia players out there, many of which are free as is the case of VLC or KMPlayer. 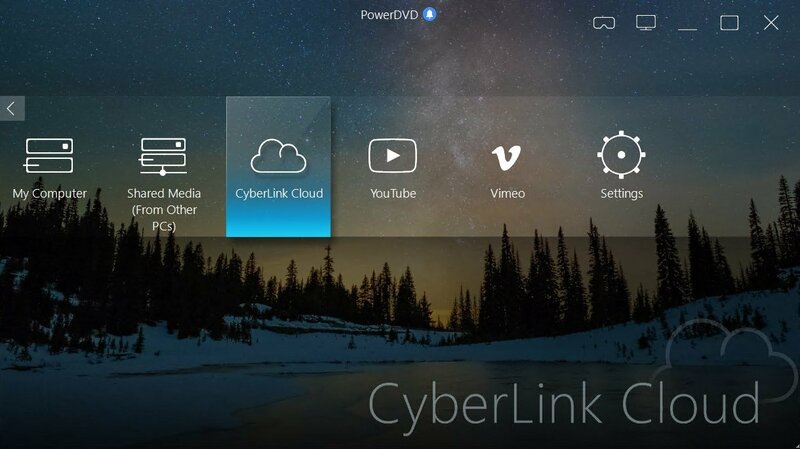 However, some people prefer to get hold of paid tools that are usually more powerful and with a higher performance. 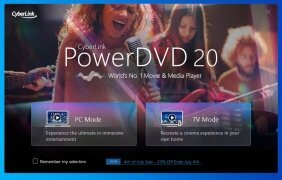 That's the case of PowerDVD, the software developed by CyberLink with which you can play videos and other multimedia files with the highest quality. The program has gradually incorporated compatibility and support for all sorts of formats, focusing on high-quality video. 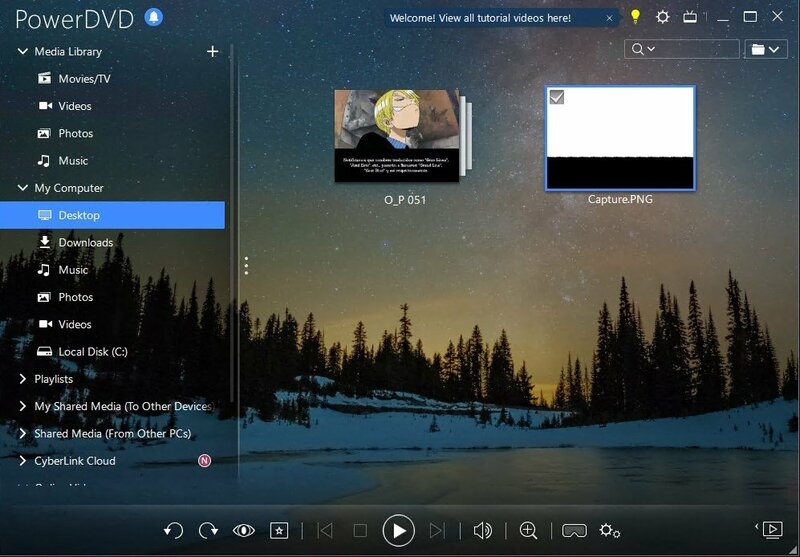 And also the capacity to use GPU hardware video acceleration or the ability to convert videos to HD and 3D by means of TruTheater technology. 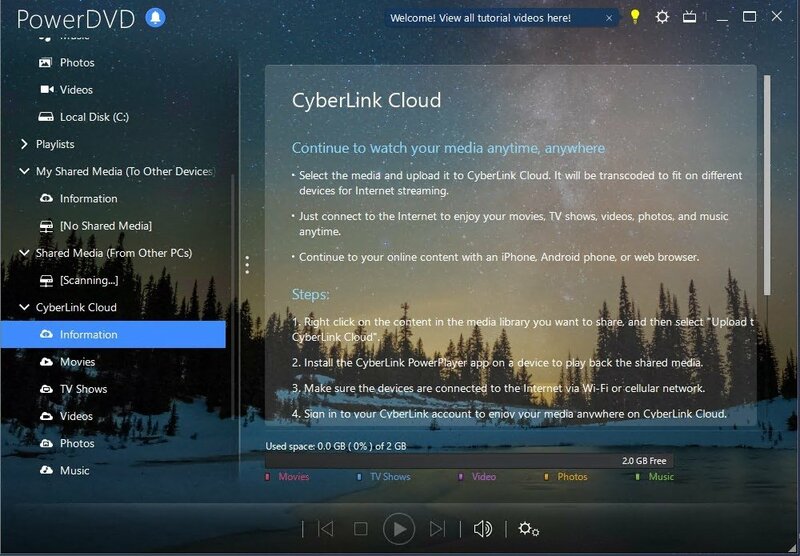 Compatibility with the main HD video formats: AVCHD, AVCREC, MPEG-4 AVC, MPEG-2 HD, and WMV-HD. Support for HD audio technologies such as Dolby, TrueHD or DTS-HD. Optimization of the internal engine to work with state-of-the-art processors. 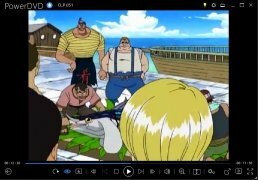 Support for many different popular video formats such as 3GP, FLV or MKV. 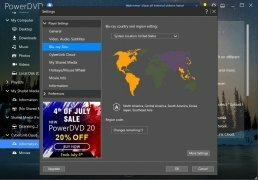 Capacity to convert 2D videos to 3D. 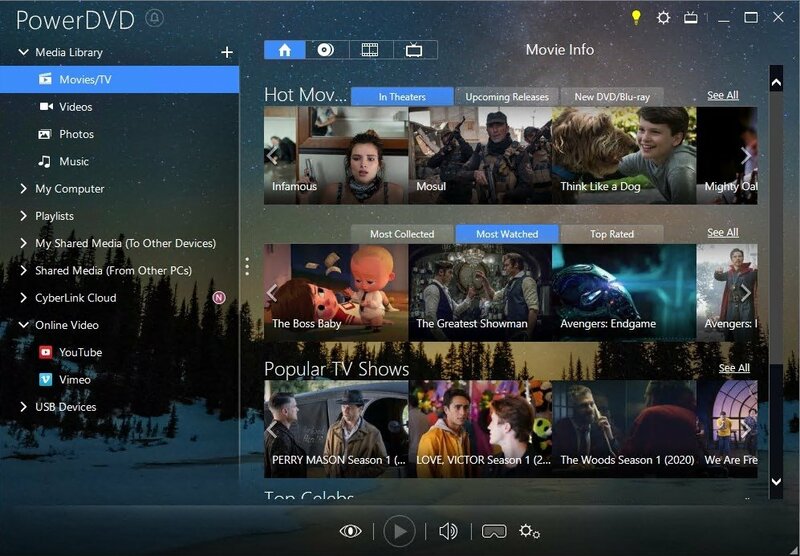 TrueTheater HD upscaling technology to improve the playback quality. 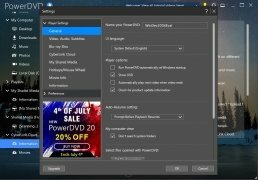 TrueTheater Surround for audio optimization. Share opinions by means of the MoovieLive community or on social networks. 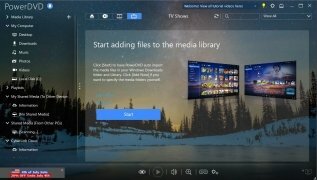 The program offers us two ways of playing and managing videos, depending on where we want to watch them, whether on our TV or computer. 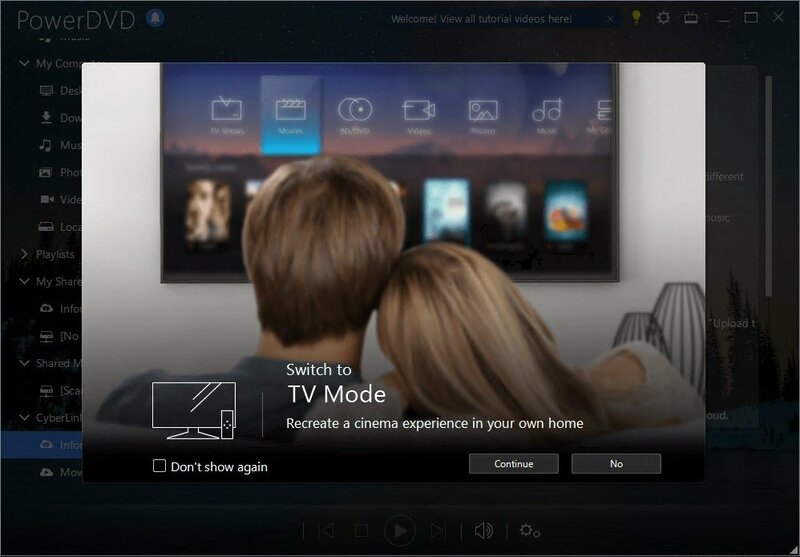 The television mode allows us to connect our computer to our TV by means of an HDMI cable, therefore, you can control the playback of titles from your hard drive, that are displayed on a large screen. 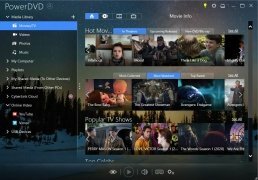 Furthermore, it comes along with support for Roku, Apple TV, and Chromecast, as well as support for videos in 360º and improved playback in Ultra HD 4K. 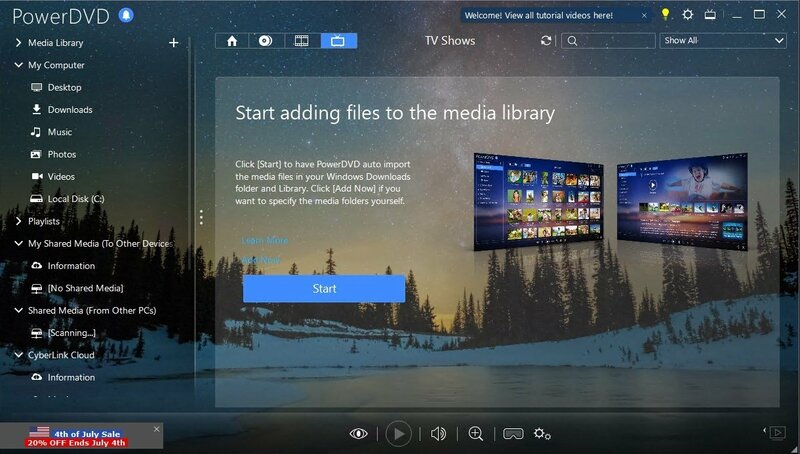 Its PC mode comes along with the technology necessary to make the most of all the playback possibilities offered by Windows 10, achieving an enveloping multimedia experience. 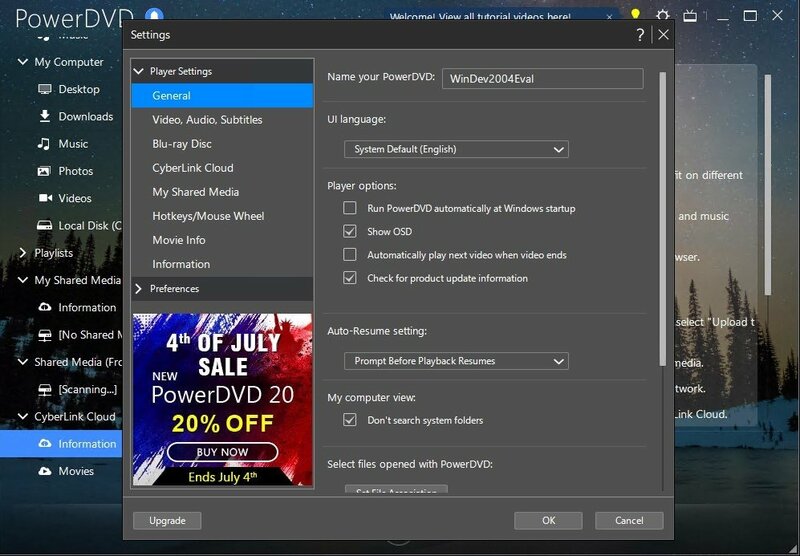 Together with its online entertainment options, its customization possibilities, and its quick start-up, it's definitely an excellent option to make the most of all your videos on your PC. In turn, it comes along with interesting accessories such as the version for smartphones known as PowerDVD Remote. It's an application that can be downloaded for free, and that's available for iPhone and Android, in APK format. It allows us to control the remote playback of files on this multimedia player, making it even more complete that what we originally may have thought.